The number of California homes entering foreclosure creeped up in July, a new report shows, but in Southern California they were up sharply in the Inland Empire counties of San Bernardino and Riverside. 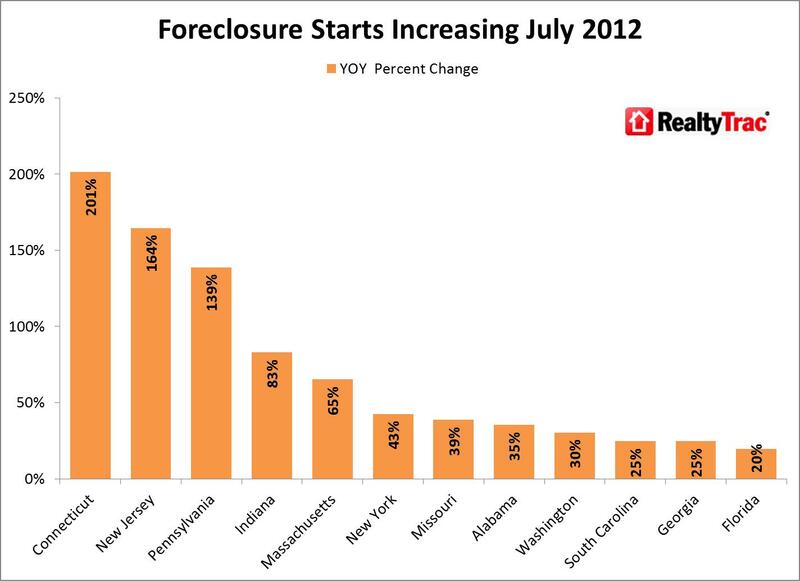 ForeclosureRadar.com showed that the number of default notices statewide was essentially flat from June, up 1.4% month-over-month, but rose 12.3% from July 2011. Statewide the number of homes that went back to banks was up 10.4% from the prior month and down 54.2% from the same month a year earlier. Meanwhile, the number of properties sold to a third party was up 10.6% from the prior month and down 6.6% from the same month a year earlier. The number of foreclosed homes selling on the California market has also been dwindling. 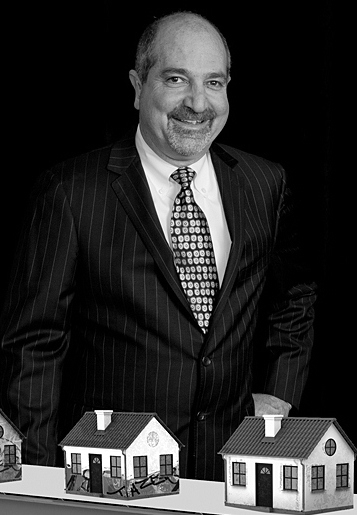 Distressed homes3 – foreclosures and short sales sold at deep discounts – accounted for 25 percent of June sales (13 percent were foreclosures and 12 percent were short sales), unchanged from May but down from 30 percent in June 2011. Foreclosures sold for an average discount of 18 percent below market value in June, while short sales were discounted 15 percent. “The distressed portion of the market will further diminish because the number of seriously delinquent mortgages has been falling,” said Yun. 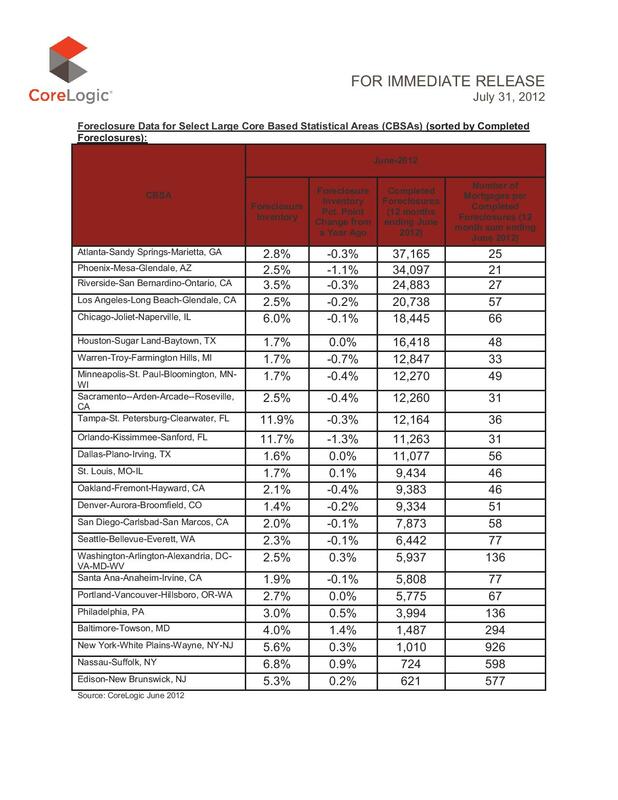 There were 60,000 finished foreclosures in June, the same as in May, and down from the 80,000 seen in June 2011, CoreLogic said. 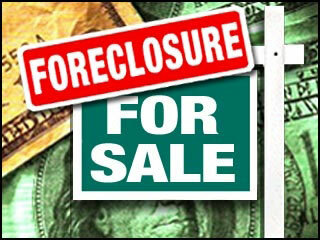 Since the financial crisis erupted in September 2008, there have been about 3.7 million foreclosures. About 1.4 million homes, or 3.4 percent of homes with a mortgages, were in some stage of the foreclosure process. That was down from 1.5 million homes, or 3.5 percent, a year ago and unchanged from May. The five states with the highest number of foreclosures in the last 12 months were California, Florida, Michigan, Texas and Georgia. 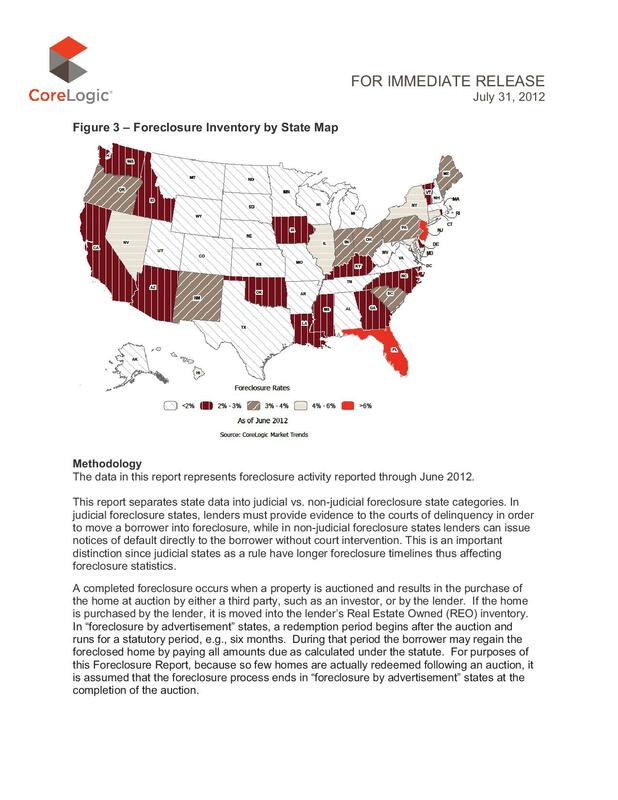 Those states alone accounted for 48.4 percent of all completed foreclosures. California Housing Market Remains Under Pressure With Ten Metro Areas Having Highest Foreclosure Rates In U.S.
Half of the nation’s 20 largest metro areas in terms of population documented increasing foreclosure activity from the previous six months, led by the Tampa-St. Petersburg-Clearwater metro area in Florida with a 47 percent increase. Foreclosure activity during the first half of the year increased more than 20 percent from second half of 2011 in Philadelphia (30 percent), Chicago (28 percent), New York (26 percent), and Baltimore (21 percent). Seattle foreclosure activity in the first half of 2012 decreased 24 percent from the previous six months, the biggest drop among the nation’s 20 largest metro areas. 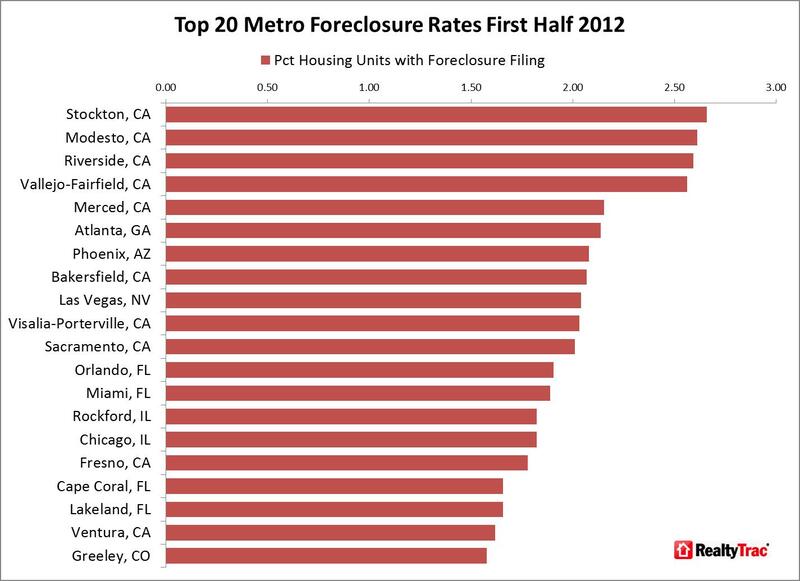 Other large metro areas where first half foreclosure activity decreased more than 10 percent from the second half of 2011 were San Francisco (21 percent), Detroit (17 percent), Los Angeles (13 percent), Boston (12 percent), and San Diego (11 percent). Despite a 9 percent decrease in foreclosure activity from the previous six months, the Riverside-San Bernardino-Ontario metro area in Southern California registered the highest foreclosure rate among the 20 largest metro areas, followed by Atlanta, Phoenix, Miami and Chicago. C.A.R.’s Pending Home Sales Index rose to 128.8 in May compared with 115.8 a year earlier. Pending home sales also posted double-digit gains compared with the previous year for the fourth consecutive month. Additionally, the share of distressed sales continued to decline from year-ago levels, signaling a return of non-investors to the housing market. The share of equity sales – or non-distressed property sales – compared with total sales improved further in May. The share of equity sales rose to 59.3 percent in May, up from 55.8 percent in April. 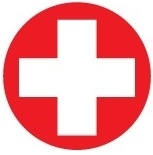 Equity sales made up 51 percent of all sales in May 2011. Likewise, shares of REOs and short sales sold statewide decreased in May, with the share of REO sales dropping the most markedly from a year ago. The combined share of all distressed property sales fell to 40.7 percent in May, down from April’s 44.2 percent and from 49 percent in May 2011. The share of short sales declined in May to 19.4 percent, down from 20.6 percent in April and from 20.3 percent a year ago. Of the distressed properties, the share of REO sales declined further in May to 21 percent, down from 23.2 percent in April and 28.4 percent in May 2011. The available supply of REOs for sale continued to tighten in May, with the Unsold Inventory Index declining from a 2-month supply in April 2012 to 1.5 months in May 2012. Out of those 10 million mortgages that are underwater, about 3 million remain “severely underwater,” which means the initial loan-to-value ratio (LTV) is 125% or more (in other words, the value of the mortgage is at least 25% higher than that of the property). While seriously delinquent mortgages (at least 60 days) have declined, the percentage of loans in foreclosure has remained stubbornly high, at about 10% of underwater mortgages. According to CoreLogic, the shadow inventory stood at 1.5 million in April, which translates to 4 months of supply. After having peaked at 2.1 million in 2010, the shadow inventory has declined, but still remains elevated; its total dollar volume is $246 billion.